Searching for a Long Island Party Rental that offers everything from inflatable play gear, to concessions, as well as the small things like tents, tables and chairs can be complicated and frustrating. 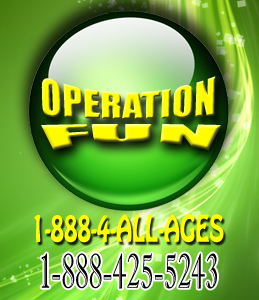 Operation Fun is Long Island’s ‘Premier’ party rental service offering all of the above and so much more! When planning your party, whether it is an outdoor wedding and reception, a birthday party, anniversary, or even just a get-together such as a large dinner party, seating can be complicated. Whether you need enough seating for all of your guests, or just one table for a special purpose, Operation Fun is willing to suit your needs, no matter how big or small. 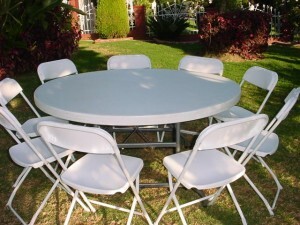 One of the greatest things about Long Island Chair and Table Rental services from Operation Fun is that all of your seating will match perfectly. This is absolutely crucial for a wedding or reception, where everything needs to be well put-together and formal. Tables are another feature of any good party that should be somewhat matching; picture your reception with two long tables at the front for the wedding party, with complimenting smaller round tables for your honored guests- all without the hassle of visiting different party supply stores! thing worse than the threat of showers to ruin the mood of any well put-together event. Long Island Tent Rentals from Operation Fun will allow you to party plan with solace knowing a few rain showers will not spoil your turn out, or all of your hard work. Whether your gathering is large or small, there is a Long Island tent rental to meet your needs. Choose from Operation Fun’s 10 by 20 foot tent, the 20 by 20 foot tent, 20 by 30 foot tent, the smaller 10 by 10 foot tent, or a combination of multiple tent rentals. Operation Fun is guaranteed to be able to meet your Long Island Tent Rental needs. Even if the weather is going to be absolutely sunny and beautiful for your event, looking into a Long Island Tent Rental could be in your best interest, to shield your guests from the sun, increasing the level of guest comfort and overall party enjoyment. There are fewer things more satisfying than planning the perfect party and having it go off without a hitch. This includes the aesthetic beauty that comes from perfectly coordinated chairs, tables, and tents. Wow your guests with a put together look for your party with Operation Fun and their premiere Long Island table, tent, and chair rentals; Receive calls from your guests to help them create such a beautiful, breathtaking atmosphere for their next great event!